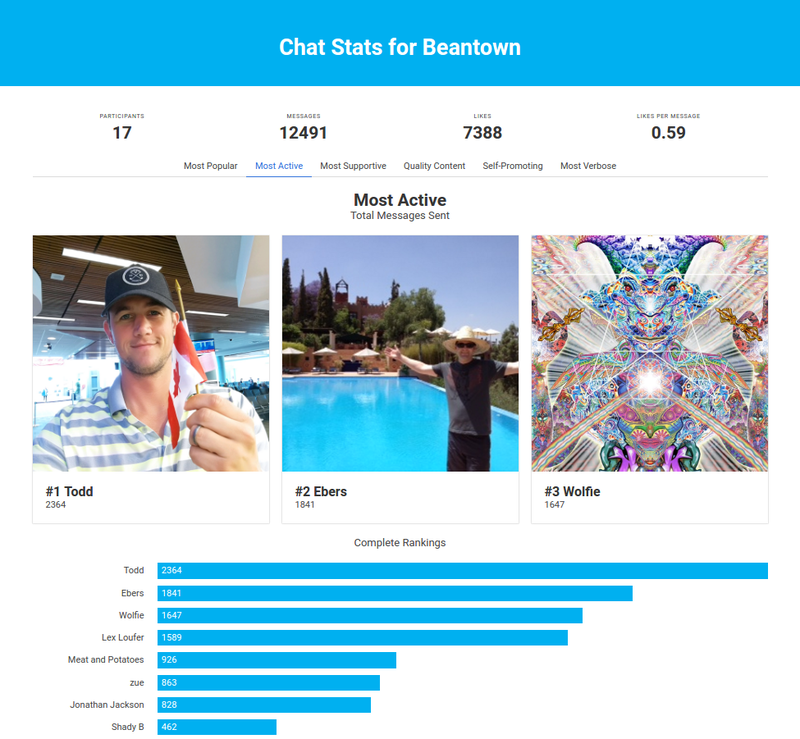 Get insight into your GroupMe groups, from who posts the most to who gets the most likes. Global stats for your group, including overall message and like counts. Group leaderboards in multiple different categories, including most active, most supportive, and best content. Connects to your group instantly, and takes just a few minutes to process the data. View historical trends—view stats for different time periods and see how they've changed. Ready to go? Connect your account to get started!